We know, we know. . . . It hardly seems right even to mention the words “back to school” in the middle of this glorious July. But teachers everywhere know the truth without being told: summer is melting away as surely as a popsicle under an August sun, and those “dear old Golden Rule days” are on their way. “Back to school” can be a fun and exciting time for kids, but it can also be scary, especially when the school they’ll be attending is new to them. For children starting kindergarten (or for kids transferring to a new school at any grade), the halls can feel hopelessly labyrinthine, bustling with strangers, and full of uncertain new experiences. 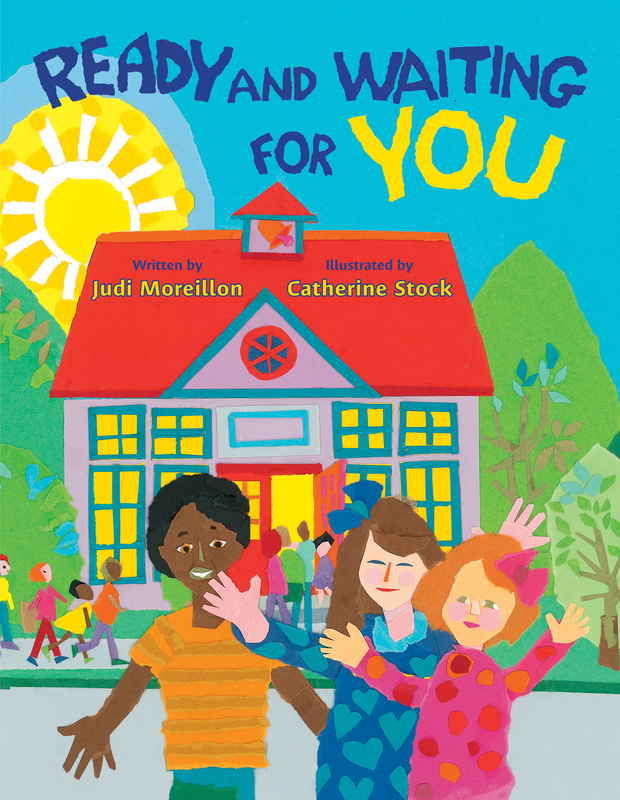 Early literacy expert Judi Moreillon knows the lost looks on those children’s faces well — and she wrote the new book Ready and Waiting for You just for them. Illustrated by Catherine Stock, her interactive picture book introduces children to the bus driver, principal, teachers, and other familiar school figures — all waiting behind gatefold doors, ready to welcome new students. Each school setting offers warm and friendly characters perfect for reassuring any child nervous about starting school. To introduce this innovative new title, we’ve put together the short book trailer below. Enjoy! Click to order Ready and Waiting for You or to visit the official websites of Judi Moreillon and Catherine Stock.